DXC Technology, a leading independent, end-to-end IT services company has published its annual list of coming digital transformations. In the ever-changing world of digital technology, the only way to keep up-to-date is to look ahead. 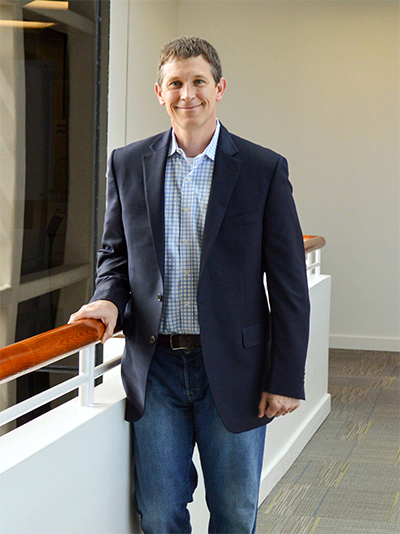 In his position as senior vice president and chief technology officer of DXC Technology (NYSE: DXC), a big part of Dan Hushon’s job is to gaze into the future to help strategically guide clients, partners and the company. That’s why Hushon has released his list of the most important digital business trends for 2018. For DXC, anticipating and executing new strategies to help clients harness innovation to transform is a major part its business. So it should come as no surprise that many of Hushon’s predictions are focused on enhancing and optimizing performance and productivity. “To me, the really simple thing that’s going on with digital transformation is increasing the value and velocity of information across every business,” says Hushon, who was chief technologist at EMC Corp. and Sun Microsystems prior to joining CSC, which merged with the enterprise services business of Hewlett Packard Enterprise (NYSE: HPE) last year to form DXC Technology. Hushon says the six most important priorities for enterprise technology in 2018 are re-platforming business; finding digital talent; harnessing “data exhaust” to measure and enhance business performance; using technology to build cyber resilience; creating digital extensions of your business; and optimizing artificial intelligence and machine learning. The key to retooling companies to better share and use information starts with what Hushon calls “re-platforming.” For most companies, that process begins with the migration of IT workloads to cloud-based platform services. But many of those companies have yet to leverage this new foundation to enhance their business technology. For those companies, the time has come, says Hushon. New digital platform developments now let non-IT players access data and update workflows and collaborate in ways that immediately improve productivity and profitability. "What really defines these platforms are new interfaces between the digital technologies and the business itself....the business can look at the data and say, ‘What do I do next to improve this process?" The ability to generate, access and manipulate data and processes on these platforms gives employees more opportunities to use data to impact business, says Hushon. As a result, software development and information analytics have become critical skills. To meet that demand, Hushon notes that some companies have begun to execute “acquihires” — acquisitions made specifically to obtain talent. Other companies are incubating small startups or creating internal platforms that allow employees to increase their skills; most will do both. One way companies are getting smarter and more efficient is by focusing on what Hushon calls “data exhaust.” The term is a reference to the emissions of a car engine: While car exhaust contains smelly fumes, it also contains key data about the efficiency of the engine. Having flexible operational technology — from coding widgets to AI — means digital innovation can now extend to every part of an enterprise business, says Hushon. And ensuring that the infrastructure and staffing are in place to optimize these digital business extensions will be a big differentiator in the coming years. “All these trends will help enterprises analyze their businesses and find actionable information at a pace that is orders of magnitude faster and more cost-efficient than it is today. And that will really set them up for 2019,” says Hushon. Growth through digital business extensions — As enterprises evolve, digital breakthroughs will lead them to new opportunities. Artificial intelligence gets more practical — Companies will use the slew of data-generating advances, such as IoT and neural networks, to make their AI even smarter.